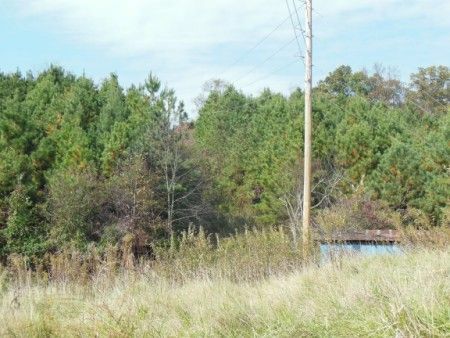 57 +/- acres covered with pine trees located in Jackson County. What an investment the pine trees are already planted and well on their way to maturity. The Mead Company of Chillicothe, Ohio planted the pine trees with the option to harvest them at a fair market price within a 35 year term. All rights of the agreement transfer with the sale of the land. Outdoorsman will enjoy the pleasure of the already present wildlife HAVEN to hunt or watch the outdoors at its best. Also, the brick cabin has beautiful oak natural wood work from the arts and crafts period; a real outdoorsy décor, with 9 rooms 4-5 bedrooms and hardwood floors mostly throughout with Kitchen with cabinetry; Utility Room with washer/dryer hookup; Living Room with built in bookcase and window seat; Front Room with built in bookcase; full bathroom with tub; 4-5 bedrooms with closets 3 with built in dressers; cabin is in need of repair. Property also has 2 car lean-to with concrete floor metal roof and sided; vintage barn with partial slate roof; and outbuildings. I’m sure you have admired this property hundreds of times as you have traveled down US Rte. 35, go back in time to which it was a showplace in its day. Real Estate Terms: Min. 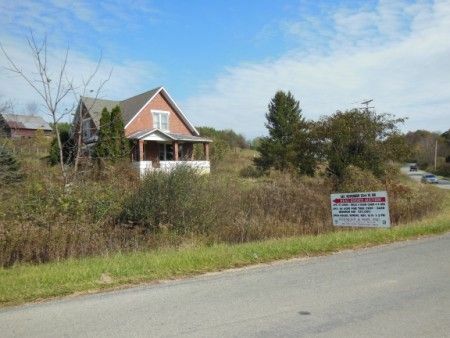 Bid $20,000; $7,500 down at time of sale cash/check with positive photo ID; Property sold in present AS-IS condition, offered FREE & CLEAR prior to closing. Balance and possession on/before December 23rd 2013. No buyer’s contingencies exist. All information provided is to be utilized only as a guide. Buyers are responsible to conduct any inspection, inquiry, investigations and due diligence regarding to property.